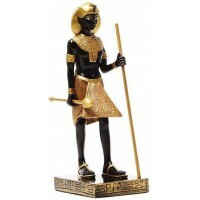 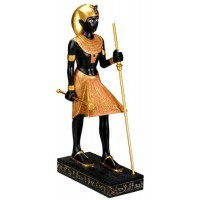 Statues such as this one were found in King Tuts Tomb and are known as the Guardian statues. 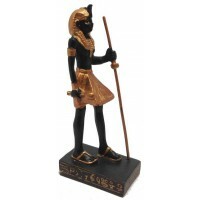 This cold cast resin statue in black and gold s 8 inches high. 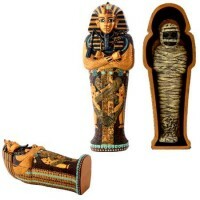 Item Number: YT-5857 | Approximate Size (Inches): 4.25 wide x 2.25 deep x 8.00 high | Approximate Shipping Weight: 2.00 lbs.